Suffolk brewer Adnams has brewed three beers for UK retailer Marks & Spencer using surplus bread leftover from the store’s sandwich production. The first beers produced in the range, called ‘Used our Loaf’, were brewed by a team from Marks & Spencer on a visit to the Adnams brewery in Southwold. Adnams is recycling the crusts of sliced sandwich loaves which have been frozen by M&S supplier Greencore in Northampton. The brewery adds around 700 kilograms of leftover bread per batch, with three times as much malted barley, to the mash. The spent grains, bread and hops are then sent away to be converted into animal fodder. 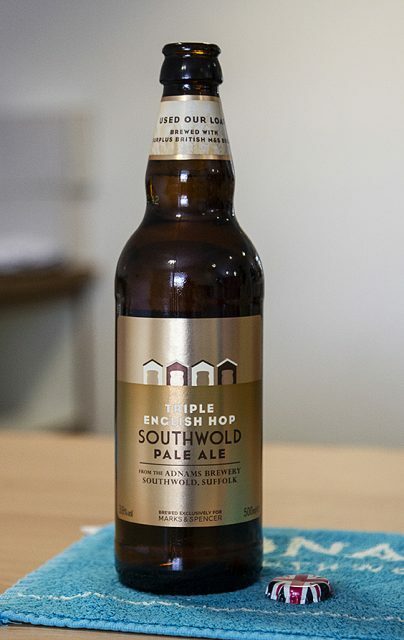 The three beers – Triple English Hop Southwold Pale Ale (3.6%), Early Grey Pale Ale (5%) and Rasberry Fruit Beer (5%) – are will be available in selected M&S stores. Rather than sending its surplus bread straight to be used as animal feed, Marks & Spencer have added an additional step as part of its Plan A sustainability programme. Adnams already produces beer for the UK retailer including the likes of Laid Back IPA and Mosaic Pale Ale. While the connection between bread making and brewing dates back some 4,000 years, the trend has recently gained prominence through the work of brewers such as Toast Ale as a way to reduce food waste.